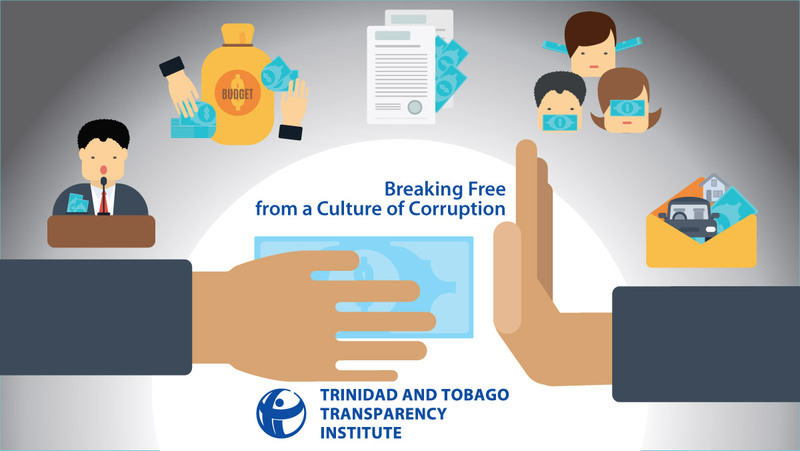 Trinidad and Tobago Transparency Institute (TTTI), the local chapter of Transparency International (TI) will host its annual Anti-Corruption Conference (ACC) on Thursday, September 28th, 2017 at the Hilton Trinidad. Dr. Hugette Labelle, former Chair of Transparency International, and Mr. Reginald Dumas, former head of the Public Service and former Chair of TTTI, will be key speakers. Mr. Stephen Williams, Commissioner of Police will also deliver an address entitled: Dealing with White Collar Crime, Successes and Challenges. The Conference, with a theme Breaking free from a ‘Culture of Corruption,’ will feature distinguished international, regional and local speakers with perspectives on breaking free from corruption. The Conference promises to be a most stimulating event which includes an informal and interactive ‘couch conversation’ as well as a youth debate to foster greater audience participation. At a time when Trinidad & Tobago is seriously challenged by high levels of crime, we must break free from corruption and demand more rigorous governance so that monies intended for national development are not whittled away by corrupt practices. The Advocacy & Legal Advice Center (ALAC) is one of the most dynamic new anti-corruption intervention experiments by the global TI movement.